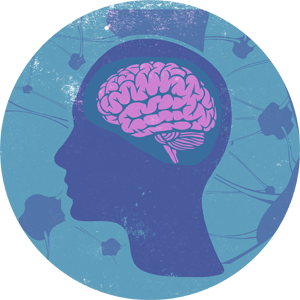 The Society for Neurocience is the world's largest organization of scientists and physicians devoted to understanding the brain and nervous system. The nonprofit organization, founded in 1969, now has nearly 40,000 members in more than 90 countries and 130 chapters worldwide. For more information, please visit http://www.sfn.org/. 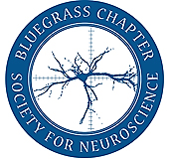 The Bluegrass Chapter of the Society for Neuroscience (BGSfN) has been active at the University of Kentucky for nearly 40 years. Consistent with the goals of the National Society for Neuroscience, the overall mission of the BGSfN is to promote the advancement of neuroscience research within the Bluegrass region of Kentucky and to serve as an organization to disseminate the most recent advances in neuroscience at local and regional levels. Faculty, student and postdoctoral members meet annually to present their research in a formal setting. Members also provide neuroscience outreach activities and education to local schools and community members during Brain Awareness Week and at the Fayette County Science Fair. For more information, please visit https://sites.google.com/site/bluegrasssfn/business-website-description.